Sicily is well known for its earthquakes. Sicilians have learned to live on land that has occasional tremors; one more jolt in life is certainly not enough to stop them. The Corsino family knows something about this, having seen their Baroque jewel of a pastry shop in the town of Palazzolo Acreide, a land bordered by Noto and Mount Iblei, survive tremors in the arc of more than one generation. When Signora Itria arrives, it is clear why she is the family’s voice spokesperson. As she begins to tell the family story, it seems that she takes strength from her name, which is the same as that of Palazzolo’s patron saint. She narrates how they transformed the fires and sorrows into opportunities for growth and renewal, and took on new life beyond mere survival. You must see her smile to picture the fifties and the sixties that she lived through as she talks about her grandfather, who married into the Corsino family. For weddings, he made desserts that were served in the reception area, as guests sat in circles with napkins on their laps and helped themselves to the delectable treats served on trays. It was in this same stuccoed hall where, every Thursday evening, families gathered to watch television, turning the cafè Corsino into the first public locale where women could enter. She tells stories from another time that recall the now classic flavors of treats like facciuna, iced cookies that evoke the town’s Baroque architecture; or nucatole, cookies filled with nuts and honey; or ciascuna, ossi di morto (“bones of death”), carrubini, and almond paste (similar to marzipan). And of course, she mentions the famous torroncini, nut-filled nougat that draws customers from all over Italy. 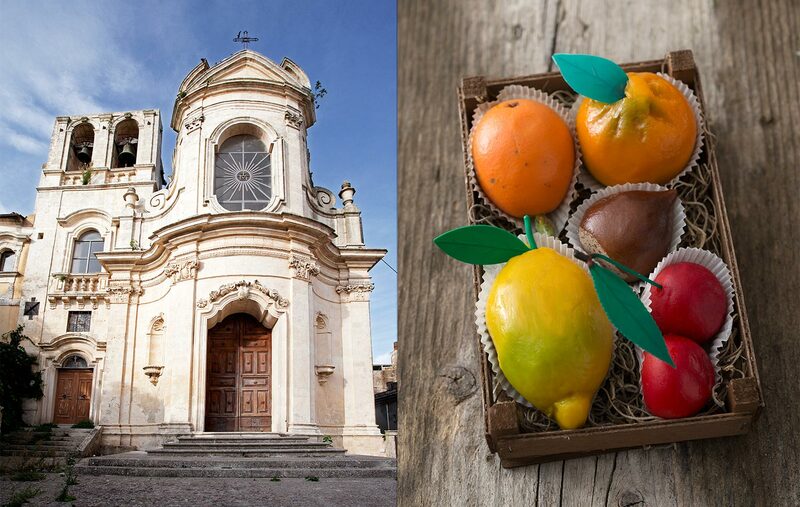 Those who live on the island of Sicily send it out to friends and relatives. 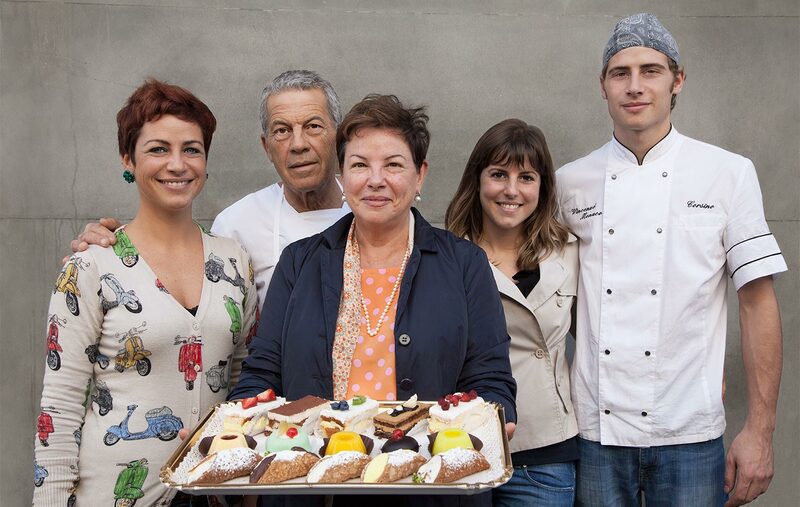 The Corsino bakery is a matriarchy: the men are the ones who enter the family by marrying both a woman and a pastry shop. The latest to join the Corsino family is Signor Sebastiano, Itria’s husband. Before meeting Itria, he had imagined a future of metalworking. Instead, the family drafted him for work after the umptheenth “earthquake” they survived: the premature death of their uncle who was pastrychef. Today, Sebastiano is most adept in decorating chocolate Easter eggs. And to think that the young girl Itria once dreamt of marrying a man who would take her away from the pastry shop to live a “normal” life, one that let her see her family on Christmas and the holidays, instead of every day. She naively thought she had a chance at normalcy despite having been born into a family that makes such delicious treats.